SSH (Secure SHell) is a network protocol that allows you to securely execute commands on and transfer files to a remote server. Typically, most servers running SSH are configured to use password-based authentication; however, this is vulnerable to brute-force attacks. SSH key-based authentication is a more secure and convenient way of logging onto your server. It uses a pair of keys to authenticate users and does not require a password to log in. 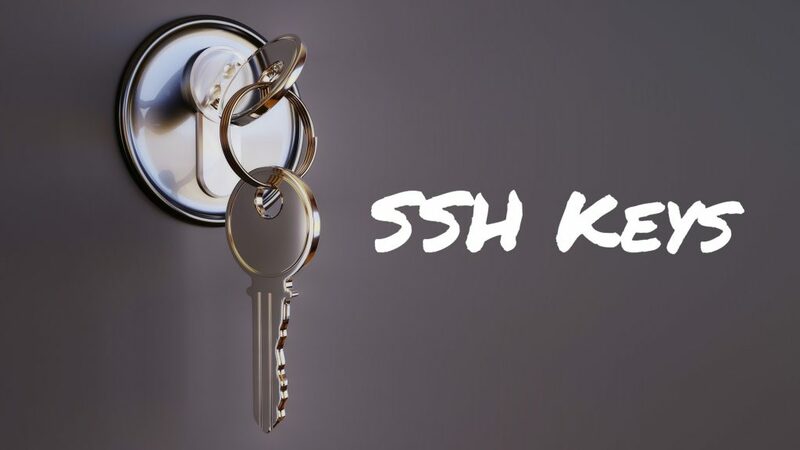 In this article, we will see how to configure a server to use SSH keys for authentication. To follow these steps, you will need a Linux/Unix server and a computer that has OpenSSH installed. MacOS and most Linux distributions have it installed by default. Windows users can use the “Bash on Windows” feature or use msys2. When you connect to a server using SSH, the client and server establish an encrypted connection to exchange data. Once this connection is established, there is an authentication phase to check the user’s credentials. With password-based authentication, the client sends the password to the server over the encrypted channel. However, this is vulnerable to brute-force attacks — an automated system can try common passwords, or various combinations of letters, words and names against your server. With key-based authentication, you use “asymmetric encryption” and “challenge-response authentication” to authenticate users. Simply put, you generate two mathematically related keys, called “public” and “private” keys. Then, you copy the public key to the server, but you keep the private key on your local machine, safely guarded from others. Due to how these keys work, you can encrypt data only with the public key, and decrypt data with the private key. When you authenticate, the server uses the public key to encrypt a random number and sends it to the client. The client then “proves” that it has the private key by decrypting the number and sending it back to the server. The server then matches the numbers, and the authentication is completed. Because the client needs to prove itself in this way, this method is secure against any brute-force attacks. SSH also uses asymmetric encryption to establish the encrypted connection, but this process is separate from key-based authentication. The server uses a separate public and private key to establish this connection. Also, as SSH key pairs are used to authenticate users on a server, each user will have their own public and private keys for this purpose. When you run this command, it will ask you where you want to save the key. By default, the private key is saved to ~/.ssh/id_rsa and the public key to ~/.ssh/id_rsa.pub. If you want to change the location, you can enter a custom path. In addition, to better protect your private key, it will also ask for a passphrase. If you use a passphrase, it will be used to encrypt the generated private key. In this way, even if someone managed to steal your private key, you would be safe as they would need to decrypt the private key with the passphrase, to use it. However, for the purposes of this article, we won’t use a passphrase by leaving the field blank. The private key would be in ~/my-key and the public key would be ~/my-key.pub. In the previous section, we have seen that ssh-keygen generates 2048-bit RSA keys. This key format strikes a balance — it is compatible with most systems, and it is also secure enough for most purposes. However, you may want to choose a different key type or key length, depending on your use case. OpenSSH supports several types of keys — DSA-, RSA-, ECDSA- and Ed25519-based keys. The main advantage of using ECDSA/Ed25519 keys over DSA/RSA keys is that they can provide the same level of security with much smaller keys. However, older versions of OpenSSH do not support ECDSA/Ed25519 keys. In addition, DSA has been deprecated in modern OpenSSH versions due to vulnerabilities, and various concerns exist about the security of ECDSA. This only leaves RSA and Ed25519 as practical choices. By default, these keys will be written to ~/.ssh/id_ed25519 and ~/.ssh/id_ed25519.pub, although you can change the filename to something else. Now that you have generated the key pair, you should copy the public key over to the server. Because public keys are used to authenticate a given user, the key lives in ~/.ssh/authorized_keys, for that user. In addition, this file should have the permission bits 400, so that other users aren’t able to read the file. With the setup we have so far, you will be able to log in to your user account, either using a password or the private key. This doesn’t help with security since automated systems can still run brute-force attacks. Thus, in the next section, we will disable password authentication in the SSH server. Before you continue any further, you should ensure all users who want to log in to the server have a public key configured on the server. However, if you do not have sudo installed, you can get a root shell by running su and entering the root user’s password. Then, you can use the commands for the root user as above. If you have multiple SSH keys for multiple servers, you have to remember the server and its corresponding key, which can become a hassle. You can specify a list of servers and keys in the ~/.ssh/config file on your local system. Now, when you try to log in to any of these two servers with the ssh <username>@<host> command, SSH will automatically use the key defined in the configuration file. For any other server, it will fall back to the default keys or password authentication (depending on server support and the default key in use). 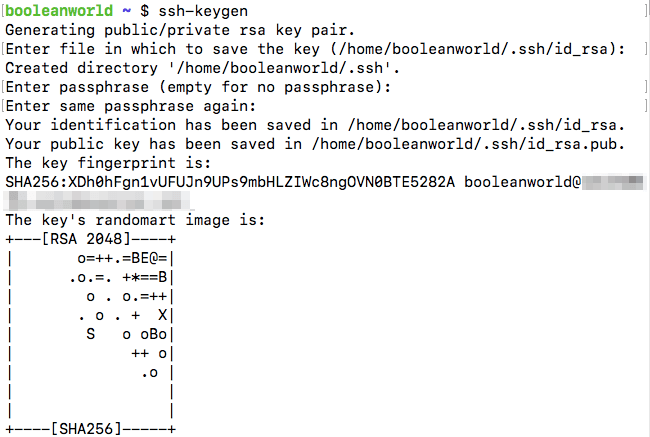 If you run this on an unencrypted key, ssh-keygen should ask for the new password (like the example below). Likewise, if you have an encrypted key,ssh-keygen should ask for the old and new passphrases. Once you’ve added or changed the passphrase on a key, you can log in with the usual ssh command. If you have a lot of passphrase-protected keys, having to type in the passphrase every time you want to log in to a server is a bit of a pain. Fortunately, OpenSSH comes with a program called ssh-agent, which can temporarily remember passphrases for you. This will start ssh-agent whenever you launch a terminal, if it isn’t already running in the background. However, this change will work only for any new terminal windows that you open. ssh-add will ask for the passphrase for the key. Once you enter the passphrase and hit enter, ssh-agent will remember it till you shut down your computer. Now, you can try logging in as usual with ssh <user>@<host> and you won’t be prompted for the passphrase for the key. However, this process leaves a lot to be desired. Every time you turn on your computer and want to log in to a new server, you have to use ssh-add so that ssh-agent “remembers” the passphrase for the key. If you forget this step, ssh will ask for the passphrase later as well. OpenSSH 7.2 and later versions make this process seamless — you can configure it so that there’s no need to separately run ssh-add. If you’re using ssh and use a key that ssh-agent doesn’t know about, you need to enter the passphrase as usual. Once you enter the passphrase, ssh-agent will automatically save it and ssh won’t ask you about the passphrase later on. SSH key-based authentication provides a secure way of authenticating to a server. It significantly improves the security of your server by preventing brute-force attacks. Further, you can use a passphrase to encrypt the private key, so that the key can’t be used even if it is leaked to third-parties. Although we have discussed everything with regards to the ssh command, the same steps are also applicable for other commands in the OpenSSH suite, such as scp and sftp.